1 Bedroom Upper Floor Flat For Sale in Sheffield for Guide Price £90,000. Offered to market with the benefit of NO ONWARD CHAIN INVOLVED is this well presented studio apartment situated on the first floor in the ever popular West One development and offering convenient City Centre living benefitting from ample local amenities, bars, restaurants, coffee shops, as well as being within Close proximity of local hospitals & Universities. This studio apartment offers a contemporary layout and benefits from a balcony that overlooks the communal garden area. Tastefully decorated throughout, the apartment briefly comprises; Entrance hallway with laminate floor covering, open plan L-shaped room with fitted kitchen area and integrated appliances, lounge through bedroom area and shower room. Double glazed windows and double glazed door giving access to the balcony offering a pleasant outlook over the court yard. 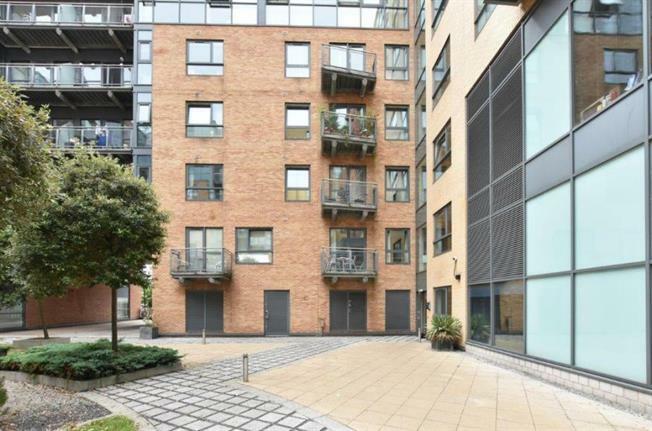 This apartment has previsouly been let for 575 rental yield of 6.7%.